It is impossible that in a lifetime of owning a car that you do not end up having a flat. When this happens, then you need a tire jack to help you with handling the lifting part so that you can change the tire. This content will give you more information about the best jacks on the market and how to get one. 1 What is a tire jack? 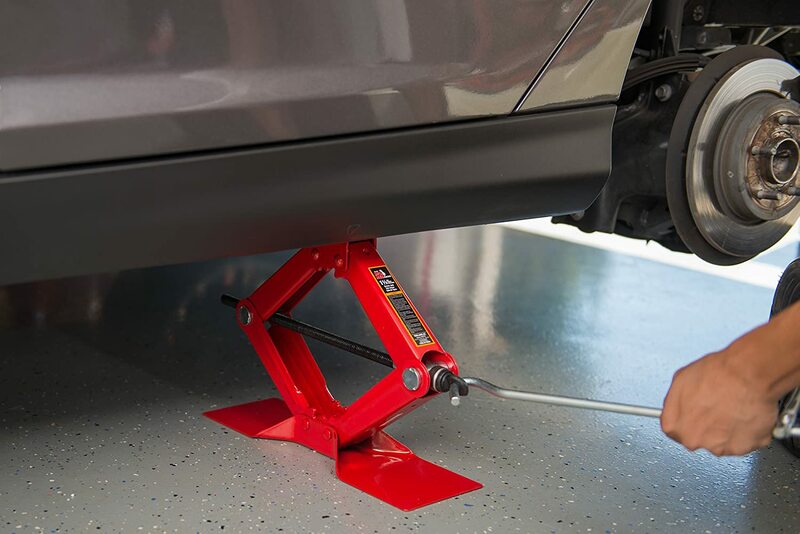 A tire jack is an important tool, not just for lifting the car to change the tires, but other different applications for car repairs. It can be a floor jack, transmission jack or any other type of tire jack, what is important is the performance of such a jack. It should be in a position to deliver the right performance all the time. This type of jack is often used for maintenance and repairs on the car. You would find it mostly in the garages for heavy lifting. It is liked for being great to lift an exact spot rather than approximating. With its long handle, the lifting part should be a breeze for most people. This is what most people have in their cars. It comes with a screw mechanism that when turned will provide the lifting power. The advantage is that the jack is small enough for better portability. Simply turn the handle to lower or raise the jack. The hydraulic car jack uses the hydraulic pressure to lift the heavy vehicles off the ground. The hydraulic floor hack could also be used for lifting the heavy equipment too. You can now expect that it would have a high lifting capacity. The manufacturers recommend using them on a hard level surface. If you like off-roading, then you could use this type of the jack. The rugged terrain would often limit the use of a standard jack, which needs a flat surface. This jack also comes with a high capacity so that it can lift the heavy off-road vehicles. To be among the best car jacks, the model had to stand out as being one of the best in terms of features. This scissor jack is made of rugged alloyed steel. This makes it have a strong construction with a heavy duty steel frame and saddle too. You would want a model that easily delivers on performance, it is the reason it comes made of protective coating that helps with preventing rust. The wide base on the model is important for providing enough support and stability. In an era where each company would come up with a different tire jack kit, you can be sure to get such as this one. The hi-lift jack is something different from what you have seen before. It gives a quick and different way of lifting the car. This model is built from a mix of cast components, all with high strength properties. What you get is a model that can now easily lift the car without worrying that it would break. Make sure that you stick to the rated weight so that you do not end up breaking it. You will find this to be one of the most reliable tools on the market right now. With its 3 ton capacity, it is one of the best tire jack that can lift a lot of weight easily. With its build, you can be sure it is a tool for all situations. 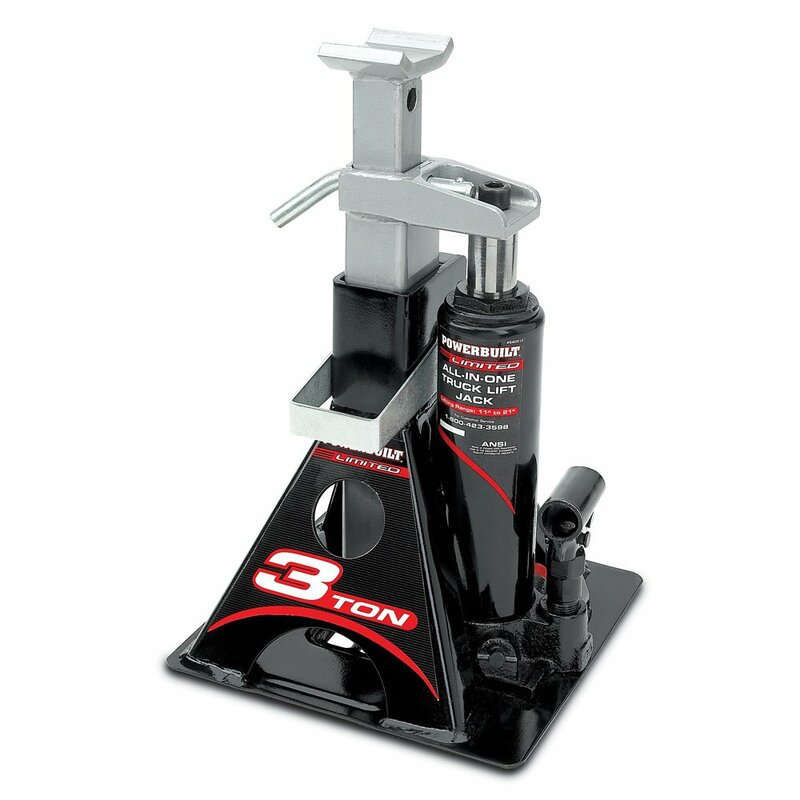 It is built to exceed the expectations of tool standards as seen in other jacks. The idea of combining the jack stand and a bottle jack in one using makes it even better. Being an electric car jack, you expect that it would lift stuff faster than the manual one where you have to do all the work. Well, you are right, as this model is faster in doing such things. It is a powerful model with an impressive 4000 lb. capacity. It should easily power the vehicle to wherever height you want if you have to change the tires. It comes with a 12’ cord that should make it easy to reach the different areas of the car and do some heavy lifting. Where you are buying a pneumatic jack or hydraulic car jack, the weight capacity is something that always matters to any user. You have to get the right type of jack that can handle your car weight. Most of the time you will find a 1.5 ton, 2 ton, 3 ton or even more options. You have to consider just how high the tire jack can lift the car. It should be enough so that you can safely remove the tire from the car and replace it with another one. You have to keep in mind that it should a safe distance for the car too so that it does not cause instability. Some jacks would be heavier than others. For most floor jacks, you would find them being heavy. It now comes to the needs you might have for the jack. If it is going to stay in the garage all the time, you can now opt for the heavier one, but for portable jacks, go for lower weights. 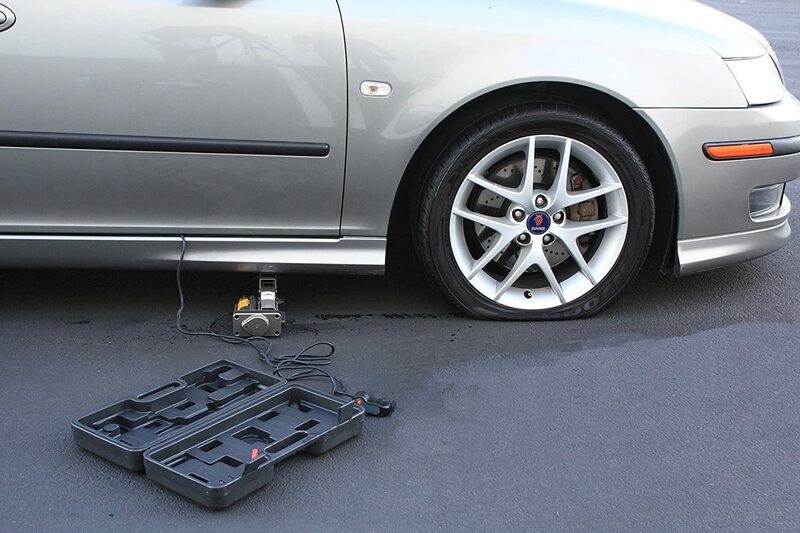 You have to consider the usability of the tire jack before buying one. You do not want to end up with a model that is hard to operate. Also, consider one with a wide base so that you have a stable surface and not one that easily sinks into the ground. Do not jack up the vehicle when there is nothing blocking the wheels from rolling. You can always end up with the best tire jack if you are sure what to look for. From the guide above, it is clear now about some of the best tire jacks you can get on the market. They are all durable and will serve you better when it comes to using them.